The City of Kenosha, Wisconsin is conveniently located between Chicago (55 miles to the south) and Milwaukee (36 miles to the north) on the southwest shores of beautiful Lake Michigan. Because of its proximity between two major metropolitan areas, Kenosha has become an ideal destination for many people seeking relatively lower housing costs in a safe, friendly and prosperous environment. With easy access to the Interstate 94 corridor, international airports at Chicago and Milwaukee, and the Metra rail line from Kenosha to Chicago, residents are able to choose from an extensive list of amenities, educational resources and career opportunities available within the commuting area. The population of Kenosha is roughly 100,000, making Kenosha the fourth largest city in the state. The Wisconsin Department of Administration estimates that the number of residents within our community will continue to grow steadily because of the influence of the nearby metropolitan areas. The City of Kenosha is governed by a full-time Mayor with a four (4) year term and a part-time Council comprised of seventeen (17) Alderpersons elected by each ward every two (2) years. A full-time City Administrator assists the Mayor in the management of City operations. Other than those with differing statutory reporting requirements, City Department Heads report directly to the administrator. The working atmosphere is collaborative and inclusive. The City employs over 780 full-time with an additional 250 seasonal employees who work primarily during the summer construction and recreation season. 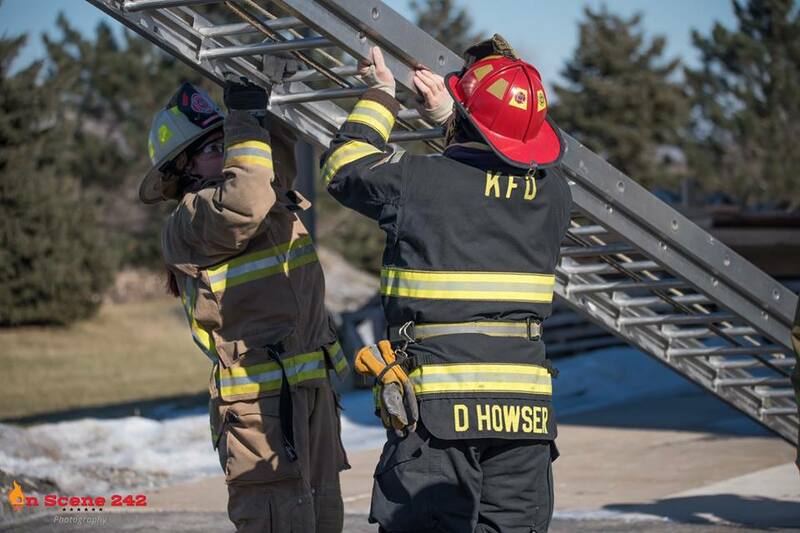 The City of Kenosha’s Fire Department serves a community of roughly 100,000 residents with five stations that are strategically located to provide optimal response times throughout the city. The Chief and Deputy Chief oversee operations of the department, which consists of 141 sworn cross-trained emergency response personnel, 3 Battalion Chiefs, 3 Division Chiefs (EMS, Training and Fire Prevention), 1 Assistant Division Chief (Fire Prevention Bureau), 2 Certified Emergency Vehicle Technicians and 2 civilian Administrative Assistants. 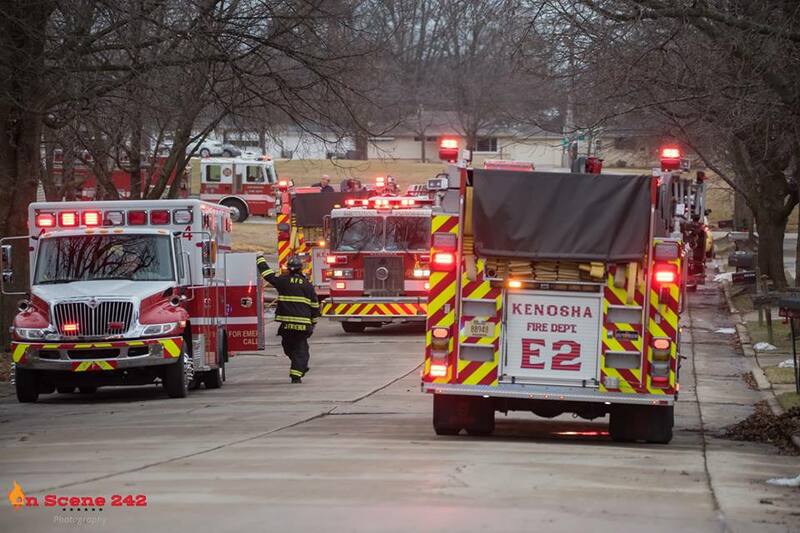 The Kenosha Fire Department (KFD) has a daily minimum staffing of 37. Under the direction of the Fire Chief and Deputy Fire Chief, the three Battalion Chiefs oversee 5 engine companies, 4 paramedic units, 2 aerial truck ladders, and one aerial platform. The department also provides Crash Fire Rescue (CFR) services at the Kenosha Regional Airport. In 2018 KFD responded to roughly 12,000 calls for service with 10,500 (85%) being for emergency medical services. The department’s 2018 operating budget is in excess of $20 million with an aggressive 5-year Capital Improvement Plan. The City of Kenosha Emergency Medical Services’ mission is to improve the quality, dignity, and prosperity of the citizens and visitors by providing compassionate Basic and Advanced Life-Support care, education, transportation and related services that are reliable, professional and tailored to the needs of the community. KFD’s vision is to have an organization that is highly adaptable to external forces, an educated and technically competent workforce, and provide exceptional public service beyond what is expected and required. The workweek shall consist of a three (3) platoon system; twenty-four (24) hours on continuous active duty and forty-eight (48) hours off duty with the possibility of overtime. This is considered as a fifty-two point thirty-two (52.32) hour workweek. Although recruits are paid based upon a fifty-two point thirty-two (52.32) hour workweek, recruits are temporarily reassigned to a forty (40) hour workweek during the Basic Recruit Training (BRT). Prior to the completion of the probationary period, applicants must reside within Kenosha County, Racine County (except the Town of Waterford; however, the Village of Waterford is acceptable), Franklin, Oak Creek, or South Milwaukee. The incumbent of this position is required to maintain such residency during the term of employment. Appointed incumbents are on probation for one (1) calendar year from the date of completion of Basic Recruit Training (BRT) and may be removed without cause and without any right of appeal. This position is represented by Local 414 of the International Association of Firefighters (AFL-CIO-CLC) and is covered by a fair share agreement. This recruitment is open to all qualified applicants meeting the minimum qualifications. Firefighter/EMT recruitments are conducted approximately every year. This recruitment will establish an eligibility list of qualified applicants that will be considered for any Firefighter/EMT vacancies that occur between late 2019 through early 2020 unless the list is replaced or extended by the Police & Fire Commission, or ten (10) or fewer names remain on the list. Appointed incumbents must obtain a Wisconsin Emergency Medical Technician (EMT-Basic) license within two (2) years of their hire date and maintain such EMT license throughout the term of their employment. Failure to maintain the EMT license shall subject the appointed incumbent to termination. Appointed incumbents also, at the discretion of the City, may be required to obtain and maintain a paramedic certification within an eight (8) year period. Failure to satisfactorily complete the paramedic training when assigned or failure to maintain any required paramedic license or certificate shall subject the appointed incumbent to termination. Incumbents hired must comply with all departmental policies and procedures. Applications must be complete, thorough and submitted online. Paper applications will not be accepted. A copy of your degree/diploma (transcripts are also acceptable) or a copy of your EMT license and Firefighter I & II certificates must be attached and submitted with your application. If you completed your graduation requirements, but have not yet attended your graduation ceremony to obtain your degree/diploma, you may attach a letter from the educational institution in lieu of the degree/diploma. The educational institution’s letterhead/logo, the date that your degree/diploma was conferred, the type of degree/diploma conferred (i.e Associates, Bachelors), the major/field of study (i.e. Fire Science, Business) in which your degree/diploma was conferred, and your name must be included in the documentation to support your degree/diploma. All EMT licenses must include the license number, license expiration, and your name. If you submit out of state fire certificates, they will be reviewed to determine if they are minimally equivalent to Wisconsin’s Firefighter I & II. If you do not have a Bachelor’s degree or a related Associate’s degree, all licenses and fire certificates must be obtained on or before the date this job posting closes. If you do not have an EMT license with Firefighter I & II certification, the date that your degree/diploma was conferred must be on or before the date this job posting closes. It may be necessary to scan your documents prior to attaching them. You may attach other documents to accompany your application. We currently accept attachments with the following extensions: .bmp, .doc, .docx, .gif, .jpeg, .pdf, .png, .tif, .xls, and .xlsx. Attachments that are larger than five (5) megabytes will not be accepted. If your file is larger than five (5) megabytes, you will need to reduce the file size. Please do not attach your driver’s license, social security card, birth certificate, or photos. If you attach a document that contains any personal information (i.e. social security number, date of birth, etc…), please be sure to redact your personal information. Applicants submitting incomplete or failing to attach or submit the requested documents, will be rejected and will not be permitted to participate in the examination process. Click here for a list of frequently asked questions in completing an online application and click here for a step by step guide. If you require an update to your application during the application acceptance period, you may submit a new application and we will honor the application with the most recent date and time stamp. All other applications will be rejected as duplicate applications. Human Resources will solicit applicants for application updates after the application acceptance period. Please do not send application updates until you are solicited by Human Resources. The recruitment process consists of an application acceptance period, an application review period, which may be conducted at the same time, and, in any order, a written exam, panel interviews, fire chief’s interviews, a Candidate Physical Ability Test (CPAT), award of veteran preference points, and the establishment of an eligibility list. Applicants must complete and pass each step in the recruitment process in order to be placed on the final eligibility list. Please note that almost all communication, throughout the recruitment process, will be by email, so be sure to provide the correct email address and please check your email on an ongoing basis. Failure to respond to any notice/email may eliminate you from the recruitment process. Be sure to check your Spam/Junk folder. Click here for additional information on the recruitment process. Applicants will be able to choose from a 7:45 a.m. or 11:15 a.m. slot. No alternate dates will be provided for the written exam; however, the City may consider alternate dates for applicants who have conflicts due to military commitments. If you meet the minimum qualifications, you will receive an email with reasonable advance notice to self-schedule the written exam once the application review is complete. If you are late for the written exam or if you fail to schedule/appear for the written exam, you may be eliminated from the recruitment process. Applicants need to score a minimum of 70% in order to be considered for the next step in the recruitment process. The written exam will assess the applicant’s reading comprehension, knowledge of basic mechanics, and the applicant’s ability to analyze problems and perform mathematical functions. There are 134 questions and applicants are allotted 3 hours for the written exam. 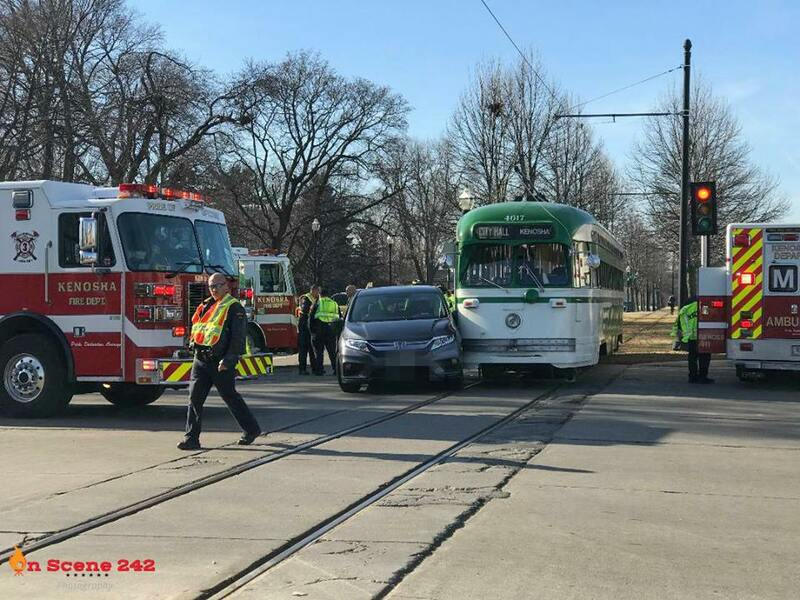 The test is being provided by Wisconsin Personnel Partners and proctored by the City of Kenosha Human Resources Department. 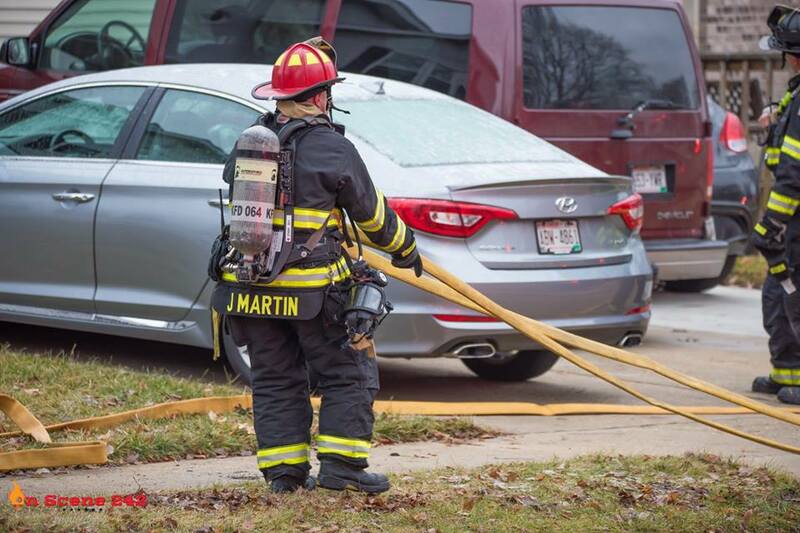 Applicants who took or are scheduled to take the Wisconsin Personnel Partner’s Entry Level Firefighter Exam between December 20, 2018, and June 21, 2019, can re-use their previous score (if it is a minimum of 70%) and do not need to re-take the test. If you are unsure if you took the written as a part of another municipalities’ recruitment, you may contact Wisconsin Personnel Partners at 608.266.1088. Click here for additional information on the written exam. The CPAT is an eight week (8) process. If you successfully completed or plan to successfully complete a CPAT on or after January 1, 2019, but before August 2, 2019, you may be able to waive this phase of the examination process. If you are successful in the recruitment process and you have not been notified that the CPAT process was waived, you will receive an email with reasonable advance notice to self-schedule the CPAT process. You will receive separate emails to self-schedule each CPAT Orientation, Time Trial, and the final CPAT Exam. Click here for additional information on the CPAT preparation and for an orientation guide. If you are late to the CPAT testing or if you fail to schedule/ appear for the CPAT Exam, you may be eliminated from the recruitment process. If you are selected for an interview, you will be informed via email with reasonable advance notice. The email may include instructions to self-schedule your interview. If you are late for an interview, or you fail to schedule/appear for an interview, you may be eliminated from the recruitment process. Click here for additional information on preparing for the panel interview. Under general supervision, is responsible for extinguishing fires, rescuing persons and property from danger, and performing salvage and related follow-up work. Incumbents are also required to perform life-saving rescue techniques as part of a fire rescue operation or as part of other emergency operations. While emergency responses constitute the primary focus of a firefighter’s responsibility, considerable time is spent in study, training, inspecting and maintaining equipment and apparatus, and in cleaning and maintaining quarters. Duties involve an element of personal danger and incumbents must be capable of functioning as an integral part of a work unit in order to ensure the safe and efficient performance of duties. Work is performed in accordance with direct instructions and well-defined routines and under the immediate supervision of a superior officer. Work is reviewed through observation for adherence to established policies and procedures. Performs other work as requested or assigned. All personnel of the Kenosha Fire Department shall perform any and all duties that the Chief or his superior officers may direct. These duties may include, but are not limited to the following: fire prevention; public fire education; emergency medical assistance; hazardous material activities; training; fire suppression; operation of apparatus and equipment; maintenance of station apparatus and equipment; pre-fire planning; public relations and assistance to fire administration in business matters. Responds to emergencies with a fire company or rescue unit. Answers medical emergencies as part of an engine company, as a basic life support unit or on a rescue unit as an advanced life support/transport unit. Removes, extracts, and rescues persons from danger. Recognizes acute symptoms requiring immediate care; administers lifesaving rescue procedures to injured or afflicted persons. Performs salvage operations including throwing salvage covers, sweeping water, removing debris, and placing smoke ejectors. Connects hose to hydrants and pumps; joins hose sections and connects nozzles to hose; enters burning buildings with or without hose lines; operates nozzles and sprays a stream of water or fog on fires. Operates hand fire extinguishers and similar equipment in extinguishing fires; raises and climbs ladders; ventilates burning buildings to remove smoke and gases. Makes daily inspections of apparatus and equipment and notifies supervisor of defects; performs cleaning and maintenance tasks in and about assigned station. Aids in the mitigation of other emergencies as directed by supervisor. Attends instruction sessions in firefighting methods; equipment operation, rescue procedures, hazardous materials mitigation, and related subjects. Recognizes hazardous material situations; makes identification of unknown substances through the use of specialized testing equipment; sets up decontamination procedures; assists state agencies in the removal/disposal of hazardous material. Minimum age of eighteen (18). Bachelor’s Degree in any field of study from an accredited institution. Valid driver’s license with a good driving record that meets City of Kenosha standards (must have the ability to obtain a Wisconsin driver’s license). No criminal convictions substantially related to the duties and responsibilities of the position. Must be able to perform the essential duties of the job. 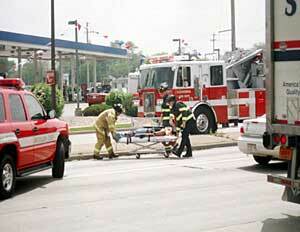 Firefighting or emergency medical services (EMS) training and experience. Ability to speak and understand Spanish or other languages. Knowledge of firefighting principles and practices. Knowledge of tools, equipment, and apparatus used in firefighting. Ability to learn a wide variety of firefighting and rescue duties within a reasonable probationary period. Ability to effectively interact with others during a crisis. Ability to react quickly and calmly in emergencies. Ability to problem solve challenging situations. Ability to keep simple records and make reports. Skill in the use of firefighting tools. Ability to handle reasonably necessary stress. Task involves the regular, and at times sustained, performance of heavier physical tasks such as walking over rough or uneven surfaces, bending, stooping, working in confined spaces, and lifting or carrying moderately heavy (20-50 pound) items and occasionally very heavy (100 pounds or over) items; or may involve the complex operation of gasoline, electric, or diesel-powered machinery or shop equipment requiring the manipulation of multiple controls, fine adjustments or both. Task requires that work be performed in adverse environmental conditions. Task requires color perception and discrimination. Task requires sound perception and discrimination. Task requires odor perception and discrimination. Task requires depth perception and discrimination. Task requires texture perception and discrimination. Task requires visual perception and discrimination. Task requires oral communications ability. The selection procedure will be conducted in a manner consistent with the established procedures approved by the Police and Fire Commission and existing professional personnel practices. Special consideration may be given to candidates who possess a paramedic certification. All probationary appointments are subject to the final approval from the Police & Fire Commission.